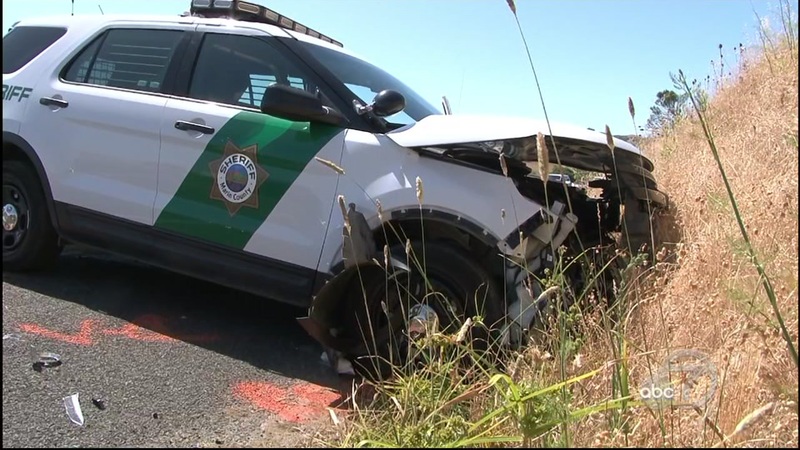 NICASIO, Calif. (KGO) -- The California Highway Patrol is investigating what caused a head on collision between a Marin County Sheriff patrol car and a passenger vehicle. It happened at about 10 Saturday morning on the Petaluma-Point Reyes road near Nicasio Reservoir. The driver of the grey car went to the hospital with non-life threatening injuries. The deputy was checked out as a precaution and cleared to return to work. Both vehicles were badly damaged and traffic slowed to one lane while the accident was cleared.